The health and safety executive estimate that in 2013/14 there were 526,000 cases of work-related musculoskeletal disorders (MSDs) – about 42% of all work-related illnesses MSDs are the second biggest cause of absence from work, affecting over 1m people at a cost to the economy (estimated in 2007) of £7bn. If you are self-employed, taking time off work with a musculoskeletal problem can have a devastating effect on you and your family’s financial security, so getting back to work as quickly as possible is essential. That can seem impossible when you’re in pain and unable to complete your usual daily activities, but movement really helps. The Work Foundation recommend that you work with your employers and healthcare professionals if affected by MSDs to find ways of returning to work as soon as possible using a combination of treatment, lifestyle changes and adjustment to working conditions. They also suggest that early intervention is key to recovery, hastening your return to a normal, healthy lifestyle and limiting the negative psychological effects of an extended period of sick leave. Fast access – our osteopaths are usually able to see you within a couple of days of seeking an appointment. As osteopaths are primary healthcare professionals you don’t need to be referred by a GP unless you are seeking NHS funded treatment or your health insurance provider insists that you see a GP first. Treatment and advice – once they have assessed your condition an osteopath will usually begin treatment straight away. They can also provide advice on how to avoid making the condition worse or re-injuring yourself. Inexpensive treatment – Many MSDs can be treated by osteopaths over a few visits. Fit notes – A fit note provides your employer with advice on what they can do to help an employee return safely to work. This may include adjustments to working conditions, such as reduced hours, a different working station to set up, or recommending avoiding activities that may prevent or slow recovery, heavy lifting, for example. Osteopaths are able to issue fit notes which will give employers this expert advice. Onward referral – With your permission, osteopaths are able to share information about your health with other healthcare professionals, such as your GP. If your condition requires the intervention of another expert, an osteopath can provide a letter of referral detailing the diagnosis and any treatment that they have been able to provide, which may help you more rapidly get the help you need to return to health. Remember that we, at Calmer Clinics in Pimlico, have a great team of osteopaths who all have experience, treating various work-related injuries and aches. We also work with corporate clients to make sure their working conditions support their staff wellbeing. Our osteopath, David Propert, for example, visits corporate patients once a week at their office premises for treatments. Get in touch if you suspect any aches related to your work conditions and we will be delighted to help you. For more information on our osteopaths, check their profiles – David and Alexia and book your appointment via our contact page or by phone. Like adults, children can suffer from back pain as a result of a variety of lifestyle activities. And like adults, there are a number of things that parents and carers can do to prevent issues arising. If your child does complain of back pain, it is important to seek advice from qualified professional, such as an osteopath. An osteopath will help to establish the cause of the problem and will provide advice on treatment, or refer you for further examinations if required. Children are often required to carry bags full of books, PE kits, musical instruments and other equipment to and from school. Parents should try to limit the weight of school bags as much as possible and invest in a good quality backpack that the child should wear across both shoulders, ideally with a strap across the chest to keep the load close to the body. Packing the bag with the heaviest items (such as laptops and heavy books) closest to the child’s body will also make carrying more comfortable and less likely to strain the muscles of the back. Looking down to use smartphones, tablets, and laptops for an extended period can pull the back and neck into an unnatural posture, resulting in pain. Placing limits on the time spent using devices and encouraging regular breaks may help to avoid problems. If your child has to use a laptop for homework, consider purchasing a support that elevates the screen to a height that allows him or her to sit up straight to look at it. A sedentary lifestyle is known to contribute to the risk of developing back pain, as well as contributing to obesity. Regular physical activity helps to keep the core muscles that support the spine strong and maintain flexibility, which will help to avoid back pain. Encourage lots of active play, walking, running, swimming, cycling etc to keep your child fit and healthy. Good quality sleep is vital for both physical and mental development. Make sure that your child has a good sized comfortable bed with a firm mattress and a pillow that supports their head without lifting it too high. Your child’s back pain may benefit from an osteopathic treatment. Using gentle manual therapy, an osteopath will help to resolve any stresses and strains that are affecting their body and relieve their pain. They can also provide lifestyle advice that may help to prevent the problem from coming back. If you would like to have your child seen by one of our experienced osteopaths at Calmer Clinics in Pimlico – David and Alexia , click here to check their profiles and book your appointment via our contact page or by phone. As a leading cause of disability and one of the main reasons for work-related sickness, lower back pain is estimated to cost the UK economy over £12 billion per year. In the UK the condition is responsible for 37% of all chronic pain in men and 44% in women but in a bid to cope with the condition, a study by the British Acupuncture Council reveals that 74% of people use painkillers as a quick fix to relieve discomfort. With 2.3 million acupuncture treatments carried out each year, traditional acupuncture is one of the most popular complementary therapies practised in the UK today. Based on ancient principles, which go back nearly two thousand years, acupuncture involves gently placing extremely fine, sterile needles at specific points on the body to trigger a healing response. Despite traditional acupuncture’s widely recognised health benefits, many people are missing the point when it comes to this ancient Chinese medicine. Statistics show that 41% of people would only consider traditional acupuncture as a last resort. Here Mieke Rainbird-Chill, a qualified member of the British Acupuncture Council, offers her advice about how traditional acupuncture can provide a more long-term health benefit. The British Acupuncture Council (BAcC) is the UK’s largest governing body of traditional acupuncture with over 3,000 members – each of whom is an accredited practitioner providing the highest standard of professional care to patients. BAcC members practise a traditional, holistic style of acupuncture diagnosis and treatment based on a system developed and refined over 2,000 years. This style of acupuncture differs from that used by medical practitioners such as physiotherapists where the technique of ‘dry needling’ is adopted. Although both practices use needles, dry needling aims for ‘trigger points’ whereas traditional acupuncture is based on the meridian system. 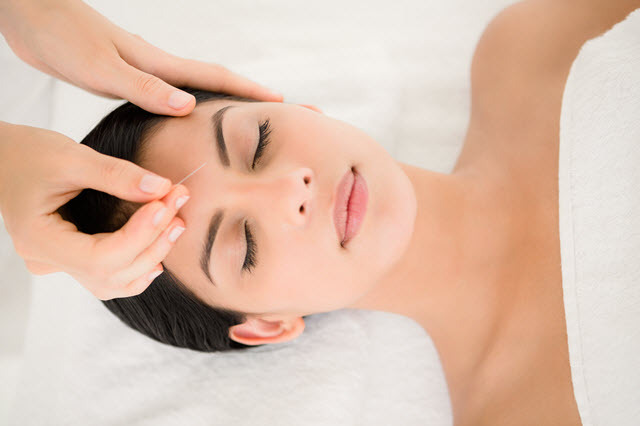 Medical acupuncturists usually have fewer training hours in the technique of acupuncture and use it as part of their practice alongside conventional treatments. To book an appointment with Mieke Rainbird-Chill – our qualified and experienced Acupuncturist, give us a call or check her details here: Acupuncture Treatments . Newton JN, Briggs ADM, Murray CJL, Dicker D, Foreman KJ, Wang H, et al. Changes in health in England, with analysis by English regions and areas of deprivation, 1990–2013: a systematic analysis for the Global Burden of Disease Study 2013. The Lancet. 2015;386(10010):2257–74.